Offering you a complete choice of products which include rotary filling and capping machine, rinsing filling and capping machine, bottle rinsing filling and capping machine, automatic monoblock filling and capping machine, monoblock dry syrup powder filling and capping machine and automatic glass bottle rinsing filling and capping machine. 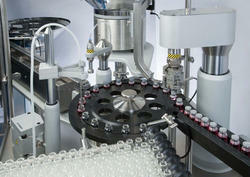 We are manufacturing Rotary Filling And Capping Machine to fill liquids in bottles. 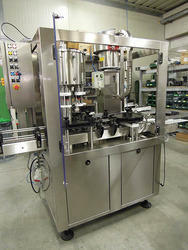 This machine is having features like piston to piston filling, and capping automation with torque mechanism. Please do contact us for further technical description. We are among the reputed organizations, highly engaged in manufacturing and supplying an optimum quality range of Rinsing Filling And Capping Machine. The offered machine is widely acknowledged by our clients for its excellent performance and low maintenance features. The provided machine is precisely manufactured using the qualitative grade components and modern technology. This machine is available in various specifications and can be availed by our clients at the most competitive price. We are one of the best manufacturers of Bottle Rinsing Filling And Capping Machine across the country. Finest machinery and state-of-the-art techniques are used to design this machine. 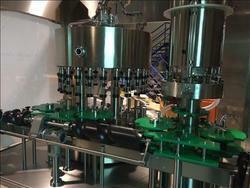 This stand-alone machine runs under a three-step process, where bottles get rinsed, filled and capped with an ease. To accomplish the packaging tasks efficiently, we have used the leading technology in this machine. 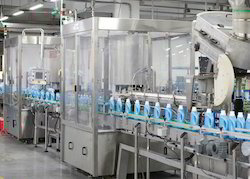 Rinsing empty bottle, filling, and capping functions are integrated into one system, fully automatic synchronized working. Bottle travels on the neck to neck from in-feed till out-feed resulting scratch free movement of the bottle. Pressure filling nozzles deliver fast, efficient, and accurate dispensing with minimal dripping and leakage. No Bottle No Filling, no caps no capping, no caps auto stops. Food grade 316L or 304stainless steel contact parts, smooth & fine Polish, no dead angles. We are manufacturing Automatic Monoblock Filling And Capping Machine for filling viscous and non-viscous products please do contact us for further information. We have exported this machine to Iran and Saudi Arabia. Please do contact us for further technical information. We are manufacturing Monoblock Dry Syrup Powder Filler And Capping Machine with Servo Based Technology and PLC Automation please do contact us for further information about our product. 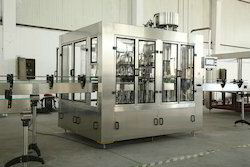 We are manufacturing Automatic Glass Bottle Rinsing Filling And Capping Machine which will be used in Non-Carbonated Drinks, Alcholol and at an output speed of up to 90 Bottles Per Minute. We have exported this machine to Nigeria, Middle East countries and European Countries please do contact us for further Technical Description of Products. S.B Machines also the manufacturer of Pet Bottle Filling And Capping Machine. 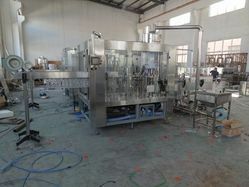 Carbonated Drink plant, Juice Plant, Pet Can Plant, Flavored Milk Plant, Rinser Filler Capper Machine, Bottling Machine, Mineral water bottling machine, Carbonated glass bottling machine, washing filling capping machine, Aerosol Filling Capping Machine, Body Spray Filling Machine, mineral water plant, carbonated drink plant etc. We customized machine as per customer requirement according to customer products. 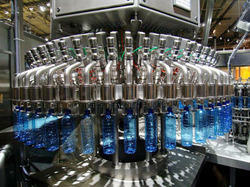 Our organization is involved in manufacturing a wide range of Automatic Bottle Filling And Capping Machine. It is made of quality materials that are in compliance with worldwide quality standards. This product is designed with different industrial pattern and performs minimum maintenance. 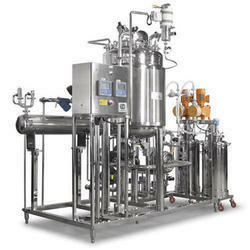 Our products are used for performing semi bottle washing & automatic rotary, filling & capping. The infeed and outfeed conveyor option provides a better output and also reduces the manpower soft and hard drinks manufacturer prefer our product for its efficient operation. 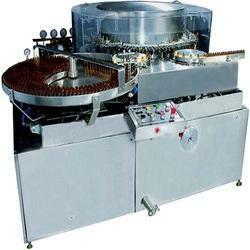 We are manufacturing the wide range of Automatic Rinsing Filling And Capping Machine. Manufactured using high-grade raw materials and utilizing innovative production techniques. We are manufacturing a wide range of Automatic Bottle Filling and Capping Machine, packaging machines, automatic/semi-automatic forming, filling, sealing and capping machines. Manufactured using high-grade raw materials and utilizing innovative production techniques. We manufacture high-quality Automatic Water Bottle Rinsing Filling And Capping Machine. Inattention to sustain the quality of the products, we have installed high- tech machinery and equipment. 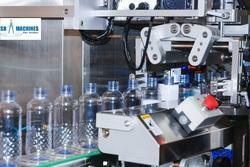 We provide these Automatic Water Bottle Rinsing Filling Capping Machines at most competitive prices. 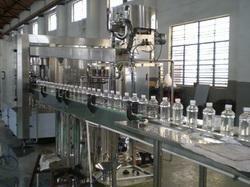 We are a manufacturer of Bottle Filling And Capping Machine with robust quality and most advanced features. 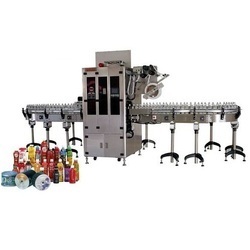 We are a unique name in the industry to provide our prestigious clients an exclusive range of Fully Automatic Rinsing Filling And Capping Machine (24 Bpm To 40 Bpm). Offered machine is exclusively manufactured using optimum grade raw material, components and modern technology in synchronization with the set industry standards. Owing to its high performance and low maintenance cost, this machine is widely acknowledged among our precious clients. Furthermore, to ensure the best quality, the provided machine is precisely tested by our quality experts. 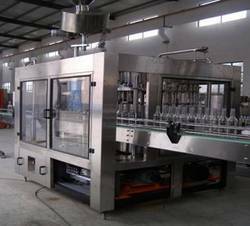 We are manufacturing Rotary Automatic Glass Bottle Filling And Capping Machine for filling highly viscous product like JAM AND SAUCE. We have exported this machine to Middle East countries, Latin America, Jordan, Turkey and Nigeria. This machine having a maximum output speed of 90 Bottles Per Minute please do contact us for further Technical Information. 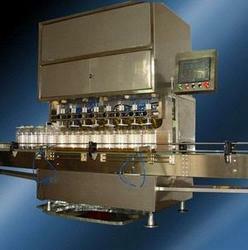 New Being one of the renowned manufacturers, suppliers we are involved in offering a wide range of jar filling machines. The tail cutting arrangement of these machines makes these highly efficient. 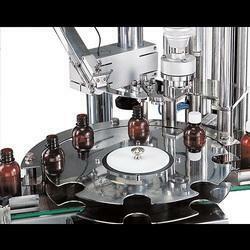 Our jar filling machines are assembled using best quality parts which ensure the perfect capability to fill lotions, pastes, balms etc. Our machines are extensively acknowledged for high performance, durability, and consistency. We are manufacturing Monoblock Vial Filling And Capping Machine (Rubber Stoppering Machine) with full automation and advanced features, we have exported this machine to Egypt, Germany, Europe, Taiwan, Kuwait, Nepal, Bangladesh, Saudi Arabia, Turkey and other middle east and south-east Asian countries. We would like to request you to please contact us for further information. 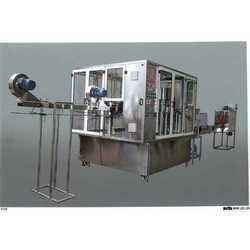 We are manufacturing Automatic Rinsing Filling And Capping Machine will most advanced technology and features. We are the manufacturer of bottled water machine 90 bpm having 18 nos of rinsing head - 18 nos of filling head and 6 nos of capping head. We are manufacturing Automatic Monoblock Rotary Filling and Capping Machine for Food and Beverages as well as allied industry. We are the manufacturer of Corrosive Liquid Filling And Capping Machine. 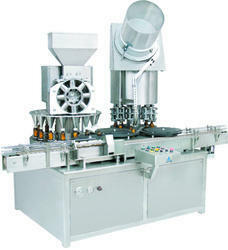 Looking for Rinsing Filling and Capping Machine ?